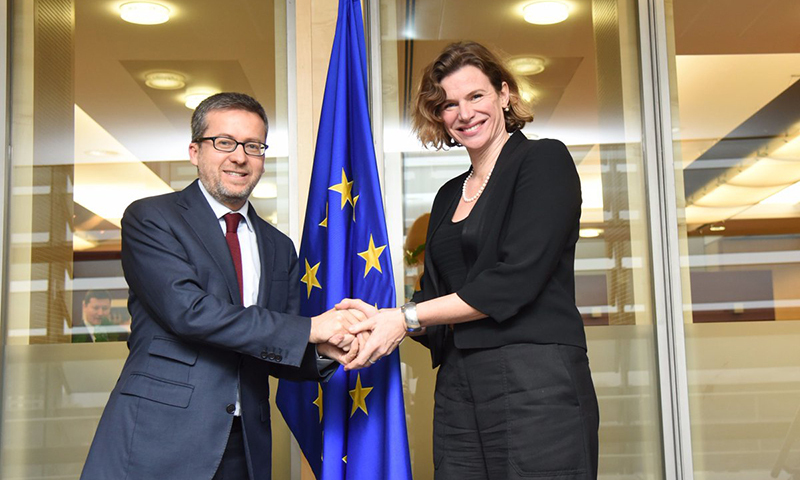 From 1 January 2018, IIPP Director Professor Mariana Mazzucato will become the Special Advisor on Mission Driven Science andInnovation to EU Commissioner for Research, Science and Innovation, Carlos Moedas. Her role is to help shape the Framework 9 programme so that it is more mission-oriented—transforming societal challenges (from climate change to care issues) into concrete problems that multiple sectors and different types of public and private actors can work together to solve. In December 2017, Professor Mazzucato, was invited to give a lunch keynote to the Council on “mission-oriented” policy across Europe. Her IIPP working paper on Mission Oriented Innovation: Challenges and Opportunities was circulated to all ministers beforehand, and she fielded questions for 40 minutes afterwards. The meeting was hosted and chaired by Mailis Reps, Estonian Minister of Education and Research and representative of the Estonian Presidency of the European Council. Mazzucato was introduced by Moedas, and around the table were 28 Ministers (listed below) including Jo Johnson, UK Minister of State for Universities and Science and the Director General Economic Affairs and Competitiveness of the General Secretariat of the Council, Carsten Pillath. Professor Mazzucato’s work on mission oriented innovation policies was cited in the UK’s first industrial strategy, published in November 2017, and she is currently working with Rt Hon Greg Clarke MP, UK Secretary of State for Business Energy and Industrial Strategy, on ways to transform challenges into missions. Mazzucato is also a founding member of the European Commission expert group on Economic and Societal Impact of Research and Innovation (ESIR). On October 3, 2017, Mazzucato hosted the first meeting of ESIR at UCL's Institute for Innovation and Public Purpose. Mission-oriented research and innovation could tackle plastic in seas, dirty cities and dementia.